Something I have always loved in my lessons, is when numerous curriculum areas come together to produce one holistic learning experience. If you are able to integrate more than one area, then you are maximising the students time and opportunities. One particular lesson which comes to mind was when we made symmetrical butterflies. Now this was technically done during an Art lesson, however, our Science theme for the term was 'Living Things', we were studying Eric Carle as an author in English, we were obviously tapping into concepts of symmetry in Maths, and to top it off we sang a Christian song 'If I were a butterfly' to conclude the lesson. That's 5 subjects rolled into one! I believe that it makes the learning so much more meaningful for the students if they can see all of these connections. Anyway, getting back on track to today's post. I previously shared My 10 Favourite Alphabet Books, so I also wanted to share my 10 favourite number books. But, the beauty here is that we are combining literacy and maths in the one activity or story time session. Children are learning to read as well as count. Something so simple can be so brilliant if you look at it this way! 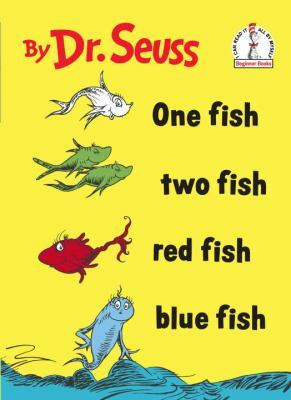 Ah the genius that is Dr Seuss! What a great one to start off our list. 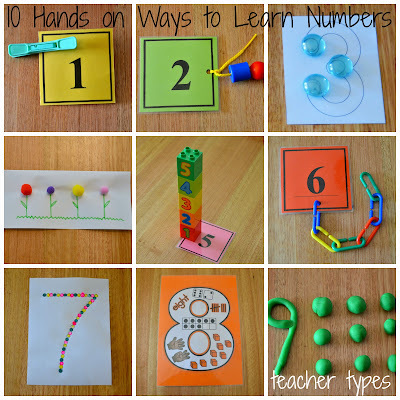 Add some rhyming to your counting and you've got a recipe for fun! 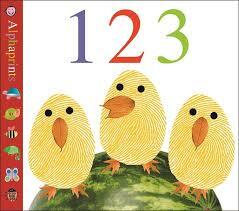 Perfect for parents to read to very young children, and explore other early learning concepts - not just numbers. 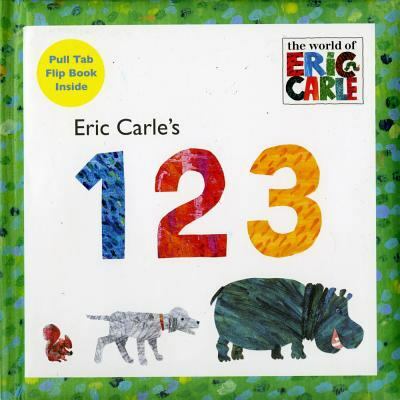 Eric Carle is my favourite Author of ALL TIME and he has two gorgeous number books for young children. 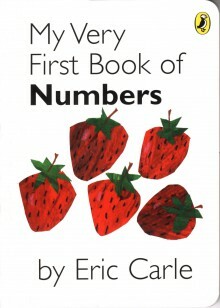 He has two specific number books (number concepts are often explored in various other books e.g. The Very Hungry Caterpillar). The one on the left is really interactive with tabs and flaps, whereas the one on the right is more simple and basic. 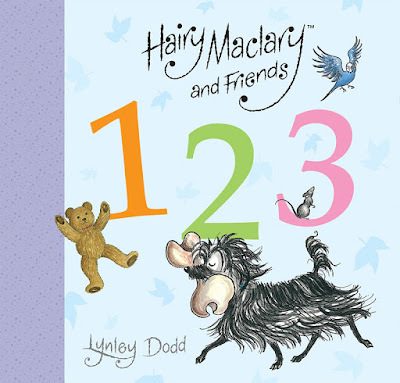 The loveable, cheeky and mischievous Hairy Maclary has his own Alphabet book and Number book for little ones. 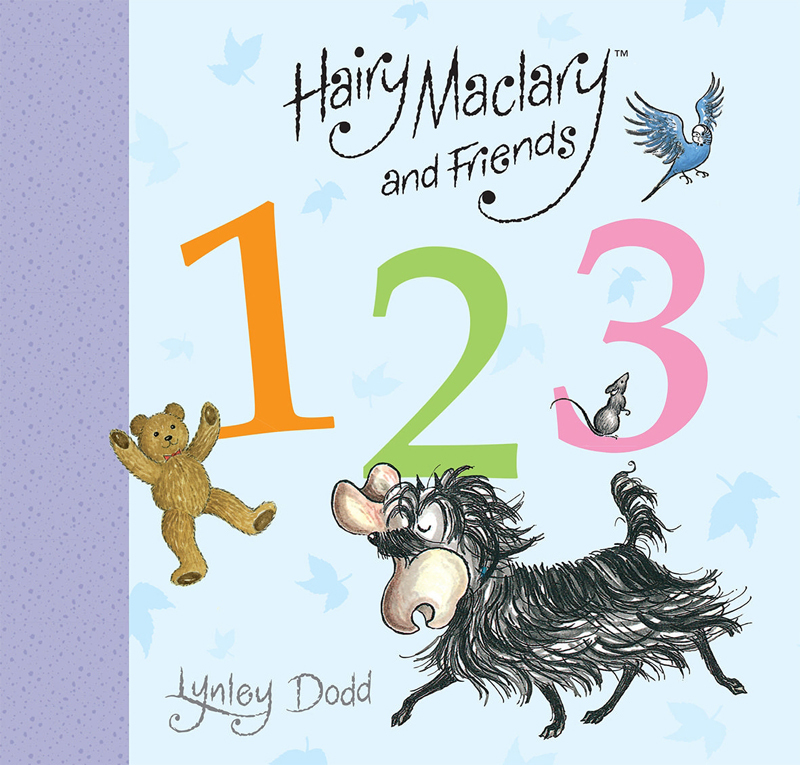 If your child is already familiar with the Hairy Maclary series, they'll see some familiar characters pop up in these fun filled books. 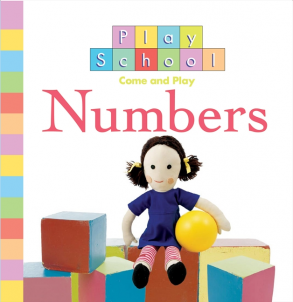 You can't go past Play School for early learning, and this Number book is just beautiful. Perfect for the very young. 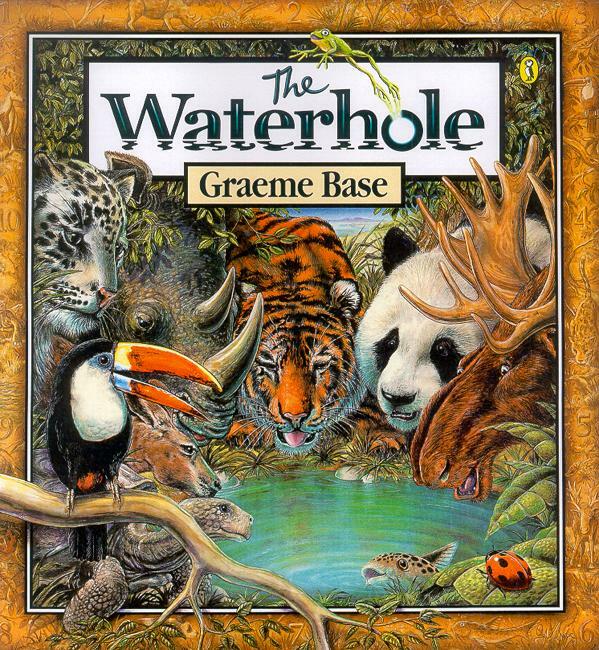 Another favourite author of mine is Graeme Base... The Waterhole is a beautifully illustrate story where we countdown from 10 to 1 as the waterhole gets smaller and smaller. 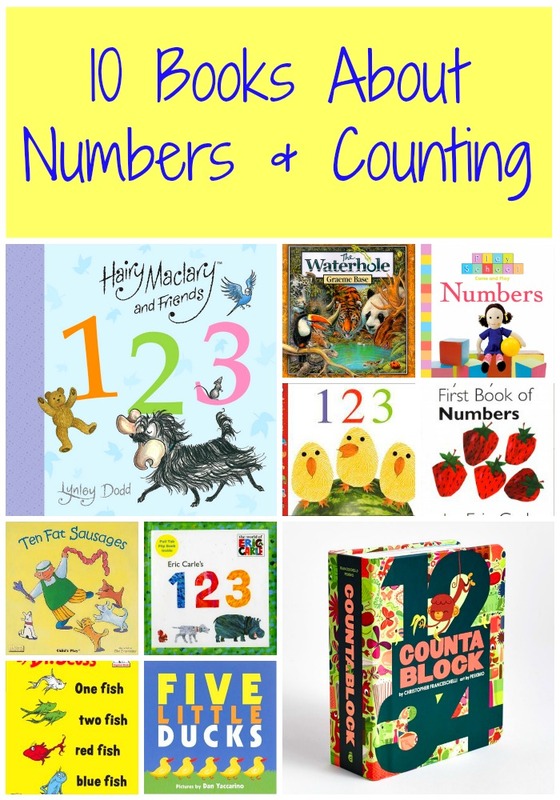 Most number books go from 1-10 so it's nice to begin to introduce backwards counting and early subtraction concepts to young children. This one is ideal for 3-5 year olds! I adore these Alphaprint books. There's something a little bit personal about them, and plus the finger prints are textured so little hands can touch, feel and explore them. Shop here at Finlee and Me! Okay okay, this one is on Miss M's 3rd birthday wish list! 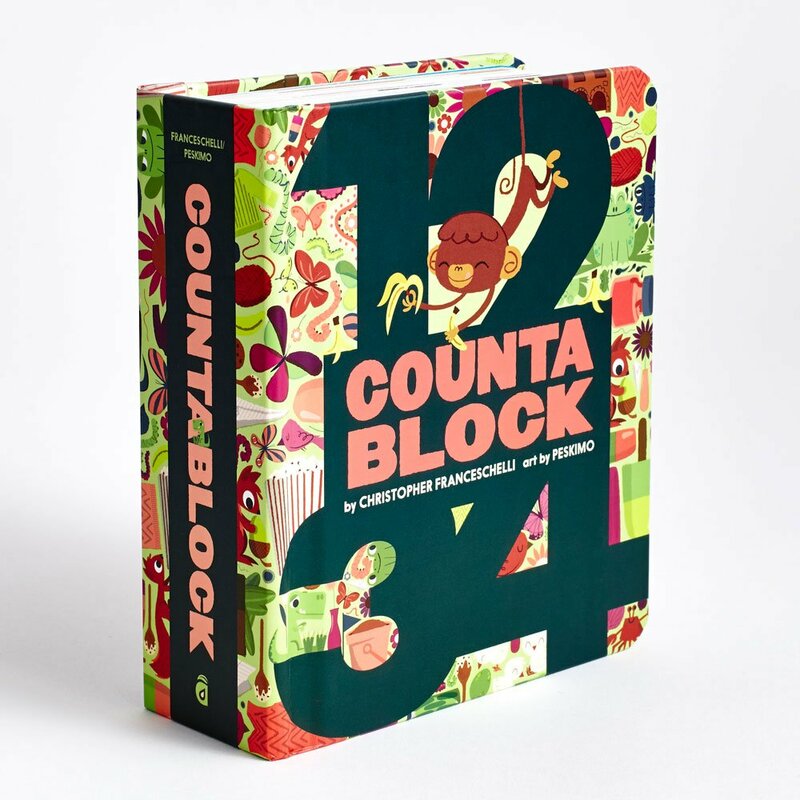 We have the Alphablock book and would just love to have the matching counting book. Peek through chunky pages are cleverly designed and invite children to make predictions about what's hidden beneath. 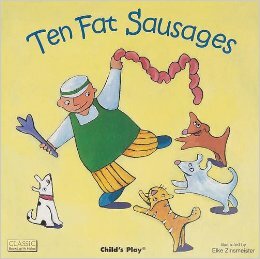 An extra learning opportunity with this book is that is doesn't just stop at 10 - but it introduces skip counting by 10s all the way to 100! What a classic nursery rhyme that every child should know. I couldn't find an image of the book that we have, but the little ducks slide along a rod so you can move them as you sing and count. 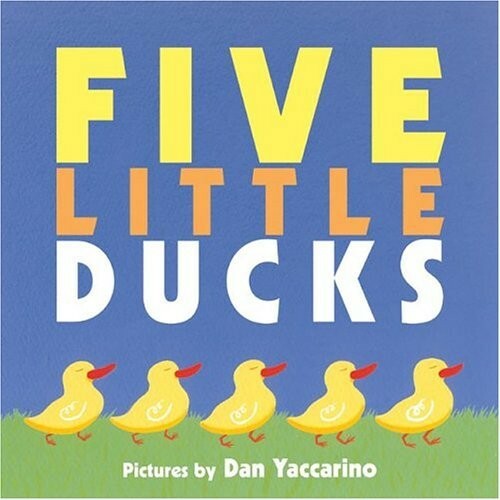 Adding real life objects (such as rubber ducks or finger puppets, even drawings) to this story makes it real for the children, and encourages 1:1 correspondence (this means touching an object as you say the number). Another good one for subtraction! This is a fun one! "10 fat sausages sizzling in the pan, one went pop and the other went bang!". 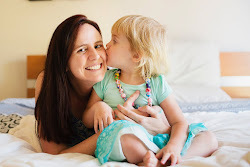 The tricky part with this story is counting backwards by 2s...great for 5-6 year olds, but younger ones will have fun doing the hand actions for 'pop' and 'bang'! So there you go - do you have any to add to my list?